A spear made for the production of Matt Reeves' science fiction film War for the Planet of the Apes. 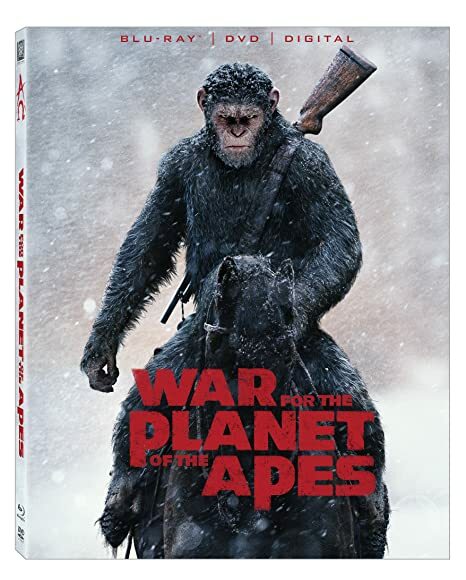 In this final film of the Planet of the Apes trilogy, Caesar (Andy Serkis) and the other apes are caught in a conflict with humans. Apes are seen using spears in the film's opening sequences. Many spears are also seen resting against walls throughout the ape's encampment. This spear is made with a wood shaft and is tipped with a urethane point. It has been custom painted in order to look like a well-used weapon. 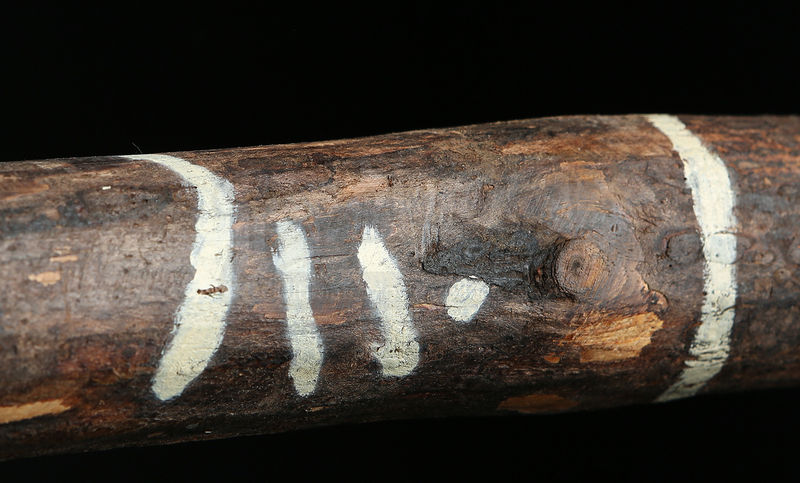 The shaft is decorated with various markings and is wrapped with an elastic material for grip. The urethane tip is painted grey and is made to appear like jagged stone. This piece shows wear to the paint but remains in overall good condition.